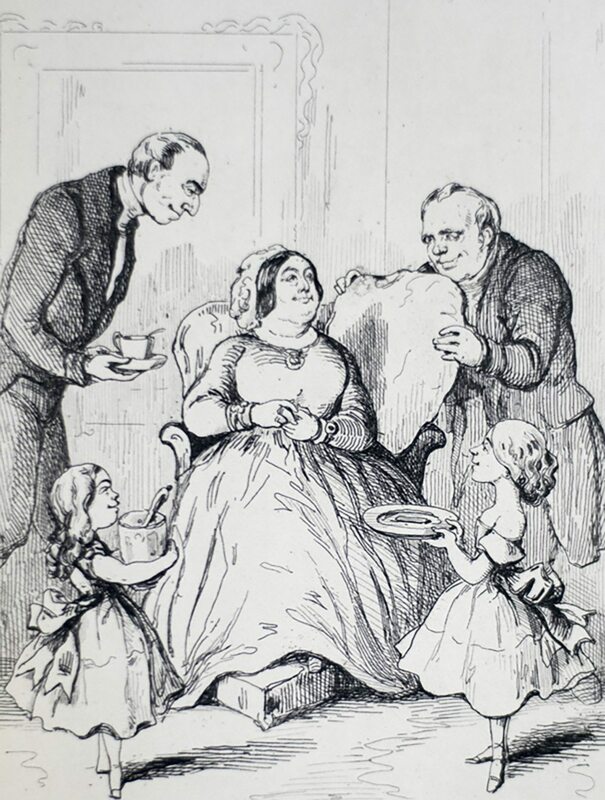 The Works of William Thackeray (Vanity Fair). London: Smith, Elder & Company, 1869. The Works of William Thackeray. 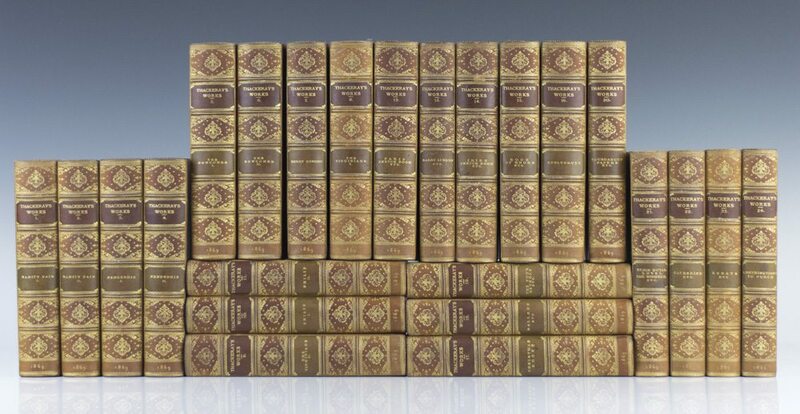 Octavo, 24 volumes. 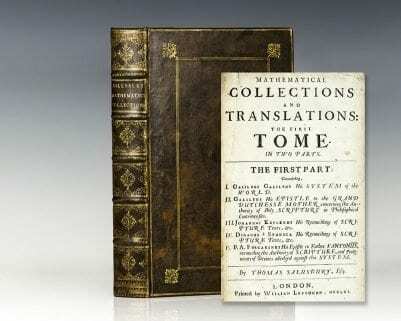 Bound in three quarter leather with gilt tooling to the spine, raised bands, top edge gilt in all volumes. In excellent condition. An attractive set. 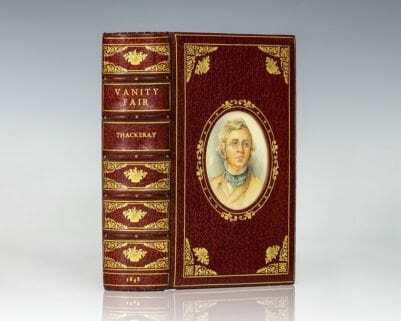 The success of Vanity Fair established Thackeray as a great English novelist. 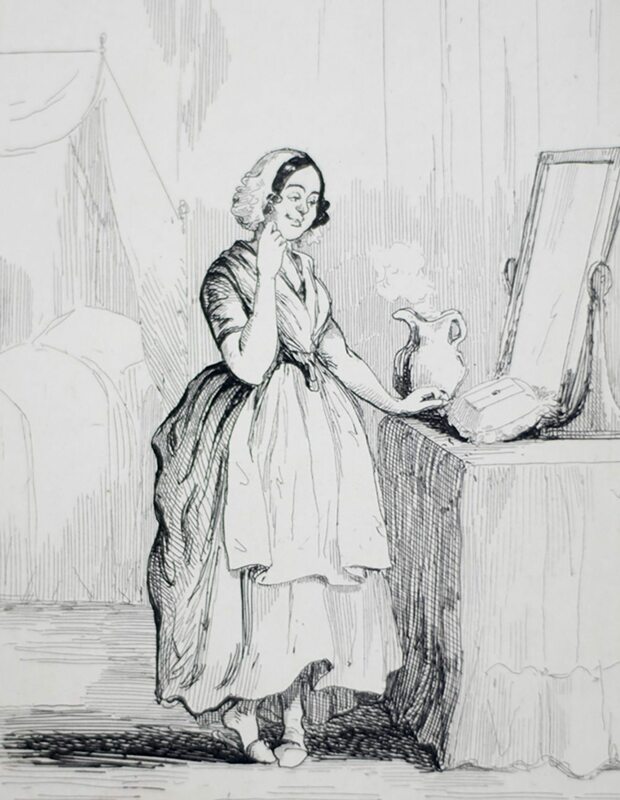 Charlotte Bronte was one of the first of Thackeray's contemporaries to recognize his satirical abilities to portray English society: "I see in him an intellect profounder and more unique than his contemporaries have recognized No commentator on his writings has yet found the comparison that suits him They say he is like Fielding; they talk of his wit, humour, comic powers His wit is bright, his humour attractive" (Allibone, 2380). The Works of William Thackeray. First edition of the works of William Thackeray. Octavo, 34 volumes, uniformly bound in three-quarters morocco. From the library of Alfred Charles William Harmsworth, 1st Viscount Northcliffe, with his bookplate to each volume. Harmswoth was a British newspaper and publishing magnate who exercised vast influence over British popular opinion. Gilt titles and tooling to the spine, all edges gilt. 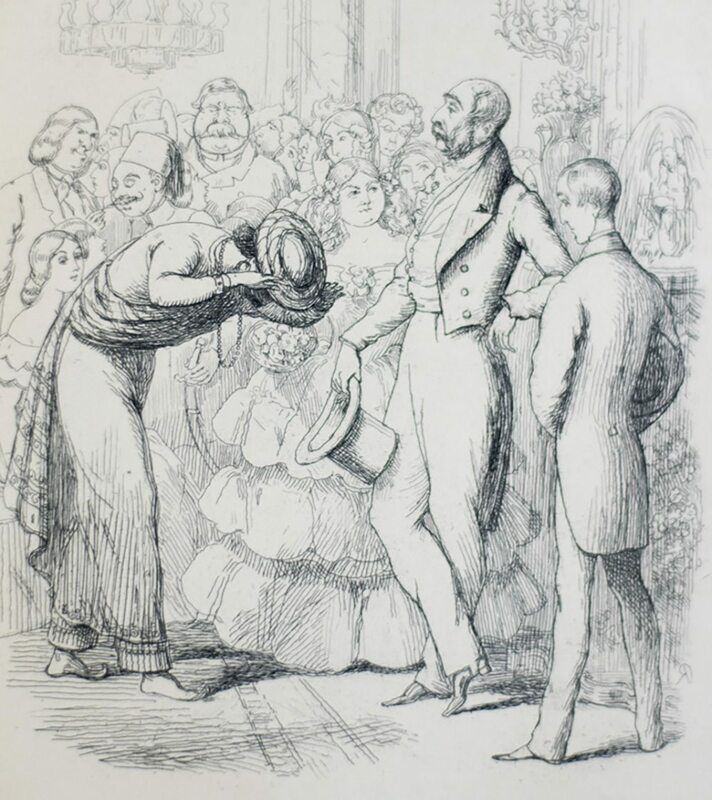 Includes: Paris Sketch Book, 2 volumes., 1840; Comic Tales and Sketches, 2 volumes., 1841; Irish Sketchbook, 2 volumes., 1843; Cornhill to Grand Cairo, 1846; Mrs. Perkins Ball, ; Book of Snobs, 1848; Our Street, 1848; Vanity Fair, 1848 (With the suppressed woodcut on p. 336, and “Mr. 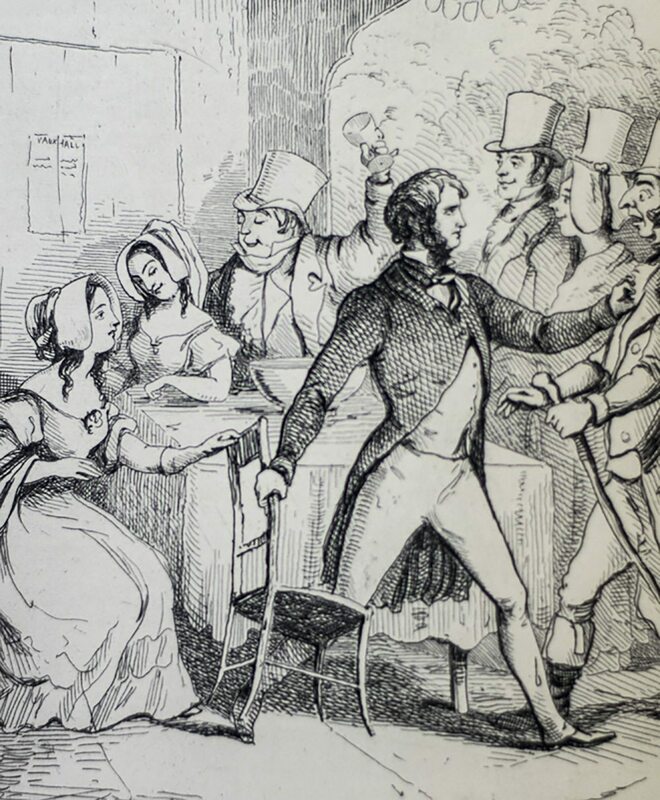 Pitt” on p. 453); Doctor Birch, 1849; History of Pendennis, 2 volumes., 1849-1850; Rebecca and Rowena, 1850; Kickleburys on the Rhine, 1850; Henry Esmond, 3 volumes., 1852; The English Humourists, 1853; The Newcomes, 2 volumes., 1854-1855; Miscellanies, 4 volumes., 1855-57; The Virginians, 2 volumes, 1858-59; Lovel the Widower, 1861; The Four Georges, 1861 (rare 1st issue); Adventures of Philip, 3 volumes, 1862; Denis Duval, 1867. Vanity Fair: A Novel Without a Hero. 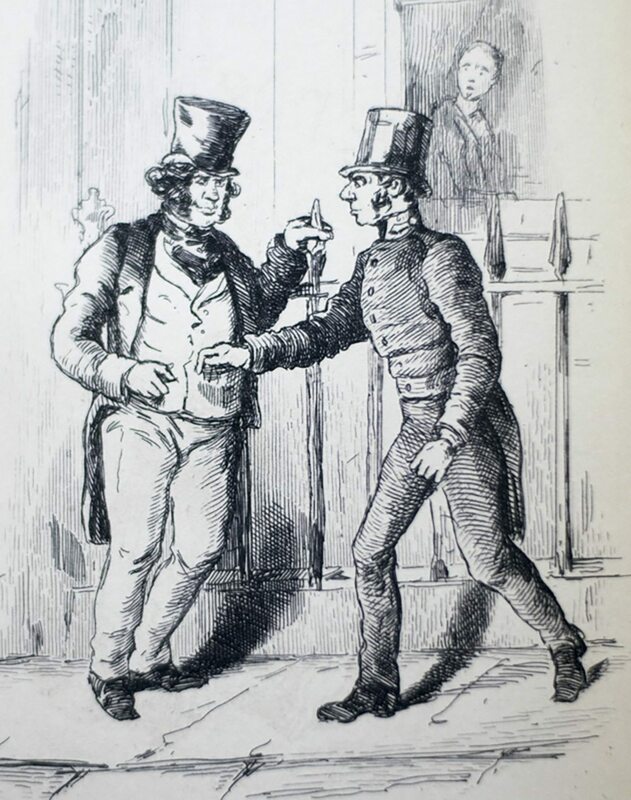 London: Bradbury and Evans, 1848. 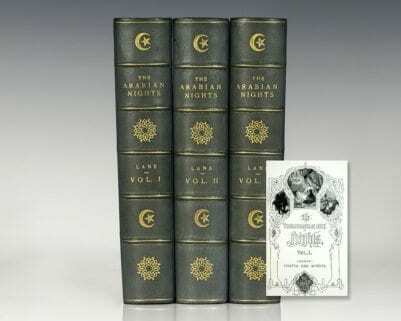 The first edition, first issue of Thackeray’s masterpiece. Octavo, bound in full red morocco by Bayntun Riviere in Cosway-style binding with a miniature portrait of Thackeray inset into the front panel, engraved frontispiece, engraved additional title, and 38 engraved plates, spine in gilt compartments, gilt inner dentelles, all edges gilt, ivory silk doublures. 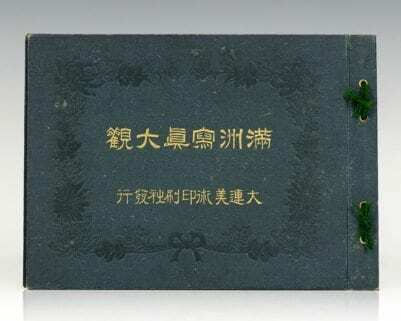 The first issue, with the headline on page one in rustic type; “Mr. Pitt” on page 453; and the suppressed woodcut of Mr. Steyne on page 336. Van Duzer 231. In fine condition. An exceptional example. London: Bradbury and Evans, 1858-59. 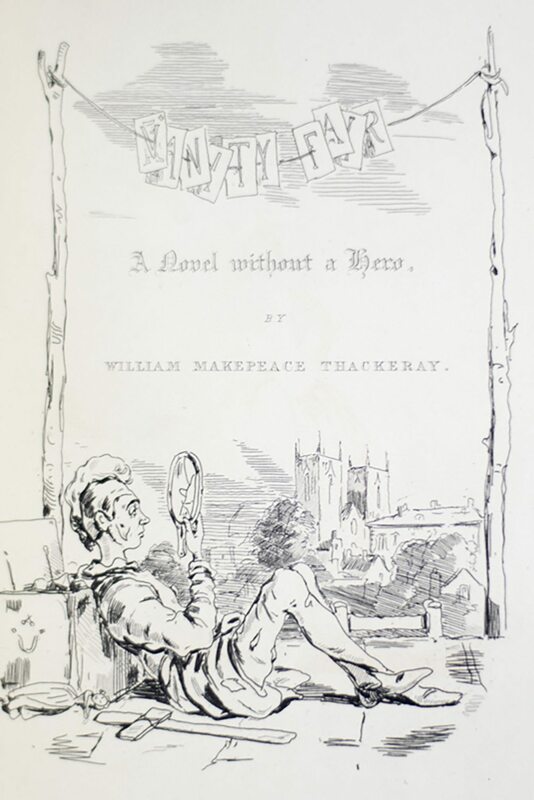 First edition of Thackeray’s memorable historical novel. Octavos, 2 volumes, bound in three quarters morocco over marbled boards, raised bands, gilt titles and tooling to the spine, marbled endpapers, all edges marbled, illustrated. In near fine condition with light rubbing to the extremities.